Copyright is defined as the legal right granted to an author, composer, playwright, publisher, or distributor to exclusive publication, production, sale, or distribution of a literary, musical, dramatic, or artistic work. Although copyright can seem like a hassle or burden at times, it was actually created to benefit everyone. The stated purpose of copyright law is “to promote the progress of knowledge and learning”. In the music world, this means it was introduced to keep composers creating. 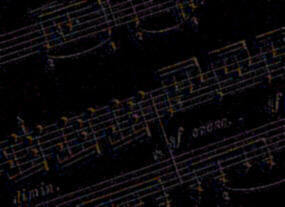 Otherwise there would be no incentive (either monetary or artistic ownership) for people to compose new music. "Fair Use” is often misused in an attempt to avoid adherence to Copyright Law. It is not to be left up to an individual interpretation that may eliminate the need of purchasing more copies or obtaining permission to create a new arrangement. The true purpose of “Fair Use” is to establish equilibrium in order to avoid a monopoly. Also, simply disagreeing with the Copyright Law does not make one immune to it. It is to be followed as any other law whether it is liked or not. In most cases permission is required. ISSMA, Inc. requires all groups participating in ISSMA Show Choir and Marching Band Events to secure permission to arrange for any pieces/songs being altered or arranged for their show. Written documentation with all proper signatures must be submitted to the ISSMA Office before participants will be allowed to perform. This also includes any original pieces composed for the groups. A signed letter from the composer must be submitted indicating that the piece was indeed created for that specific group and use.